2010:- Eco Credible was established. 2010:- Bio Gas Based Spentwash Effluent Treatment Plant for Sugar Factory. 2010:- Effluent Treatment Plant For Sugar Effluent. 2011:- Sewage Treatment Plant for Bhartiya Jain Sanghatana, Wagholi. 2011:- Designing of Sewage Treatment Plant for Alfa Laval, Pune. 2012:- License for E-waste Processing Plant. 2013:- Registered as Small Scale Industry (SSI Registered). Our collective vision is to ensure that we prevent damage to the environment around us by effectively reducing,reusing and recycling the waste that is generated. 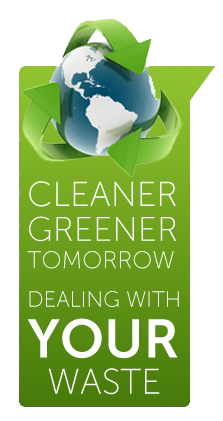 Our mission is to break down and process waste with an approach of integrity, professionalism and value to our customers. Mr. Dhaval has done his Diploma in Mechanical Engineering from MSBTE (Mumbai), Bachelors of Mechanical Engineering from Pune University (Pune). He has also worked with Ganage Pressing Pvt. Ltd. in tool and Die Manufacturing and later with the designing center for 2 years. Mr Dhaval was invited by the Ministry of Economics, Federal State of Rhineland-Pfalz, Germany, for a Young Entrepreneur Development Program. He has also worked with TRW Automotive, Neuwied, Germany during his stay in Germany.